Torture or . . .
No One Shall be Held . 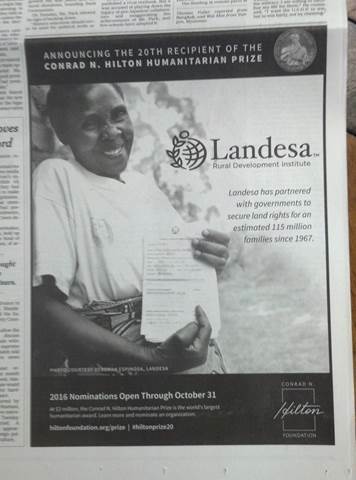 . .
Congratulations to Landesa for winning the Hilton Humanitarian Prize! I'm honored that my photograph is in the award announcement that appeared in the The New York Times on 14 October 2015. Where in the World Right Now?